Back in May of this year, Carolyn hosted a party in honor of Victoria Day. It was originally intended to be a picnic, but a week straight of rain nixed those plans. Instead, Carolyn welcomed us into her lovely home that she and her husband rent, a restored early 20th century town house in Washington, DC. 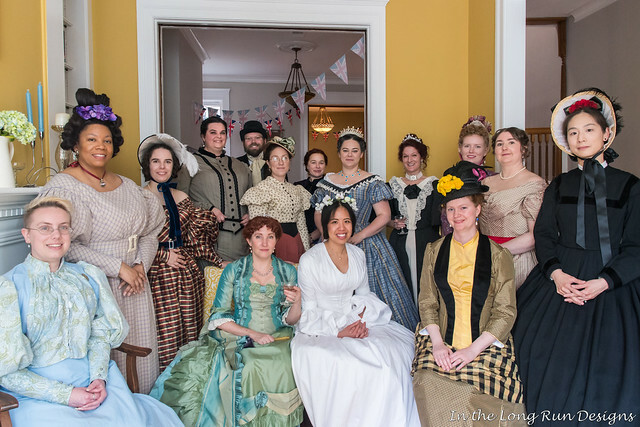 Carolyn invited guests to wear costumes from any era during Queen Victoria’s lifetime, which led to a wonderful variety of ensembles. I’m pretty pleased with this group photo, because I was able to direct everyone to fit inside a narrow space. I wanted to get the group to face the windows to maximize light, but that limited the area we had to work with. 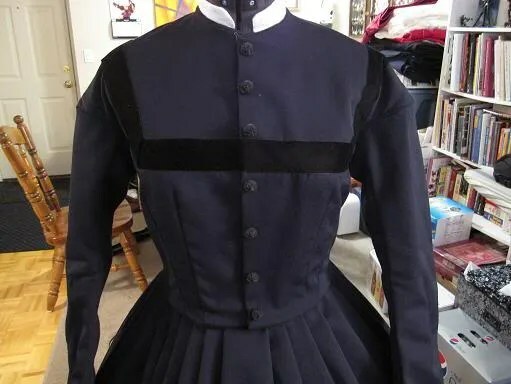 I made a wardrobe page for my 1860s black day dress here. I got to go to Returning Heroes Ball this past weekend. It was a great time! I learned some new contra dances and got to wear my newly finished 1860s wool day dress (both day and evening dress was allowed at the ball). 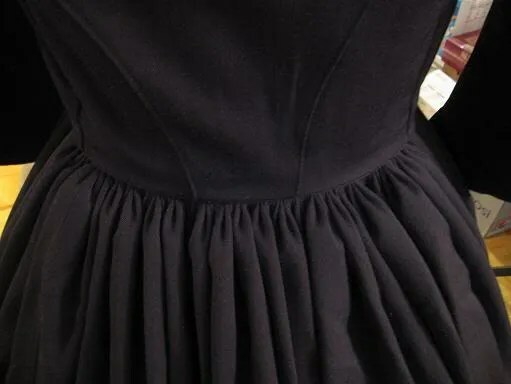 Pics of my finished dress are below. 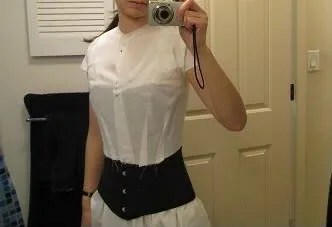 There was some last minute sewing drama, where I screwed up the waistband and had to remove it. 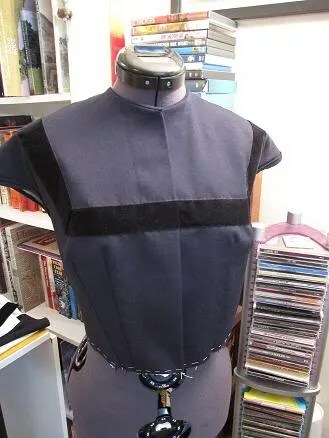 I ended up attaching the skirt to the bodice without a waistband. But I was still able to finish by Friday night (the ball was on Saturday), so it all worked out. I set in the sleeve last night. I have to say, I don’t like working with wool as much as cotton or even linen. 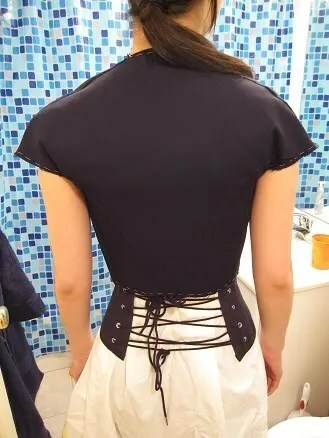 I miss the crispness of the fabric, I guess. And this wool is very slippery somehow. But those issues aside, I’m still making progress. I wish I did a better job with the piping along the sleeve head. Somehow that doesn’t lay as nicely as I’d like. 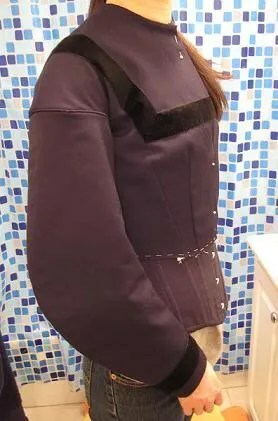 But I am not redoing it, as the fabric in the arm holes might fray away were I to rip anything out. 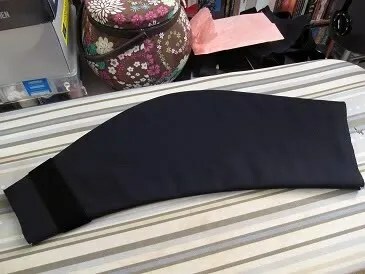 The first sleeve is assembled, but I need to finish the bottom edge. 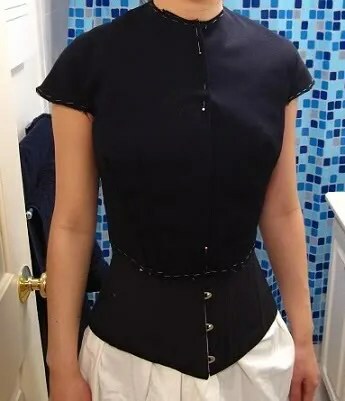 I’ve been working in fits and starts on this project. I’ll be really motivated for a couple days and then not want to touch it for a week. Hopefully I can ride my current momentum through the other sleeve. 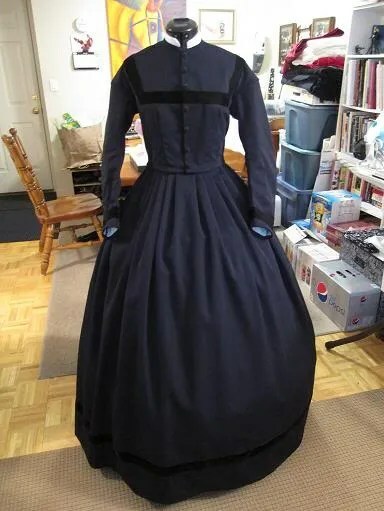 I did some work on my black wool 1860s dress this weekend. 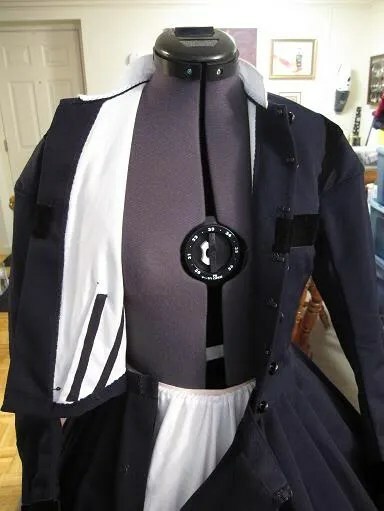 I cut out the sleeves, lining, and facing. Then I sewed down the velvet ribbon trim on the bodice. Sleeve assembly is next! 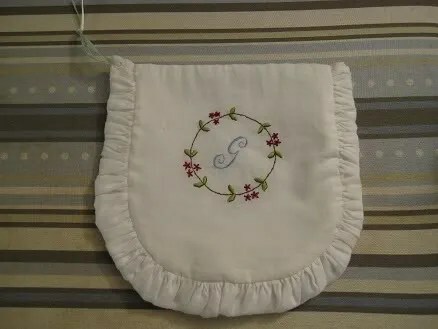 First, I got this wonderful reticule from my friend Sabrina as part of a craft swap. I love it!! The embroidery is beautiful. 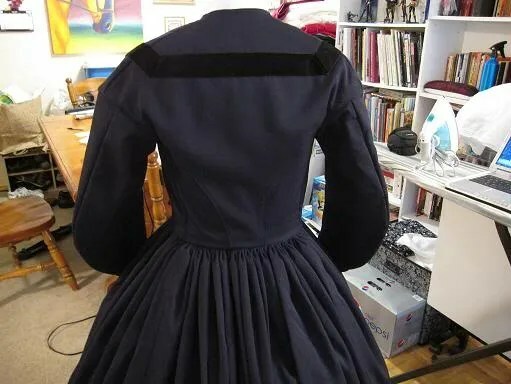 Second, I have some progress on my black wool 1860s dress. I’m going pretty slowly on this. 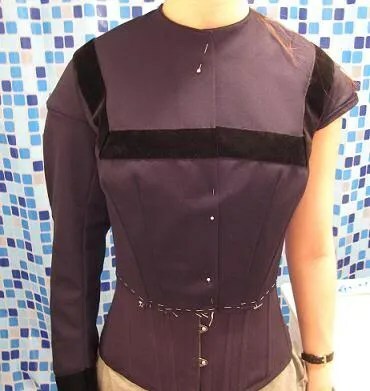 And I don’t want to deal with the piping in the sleeves…. 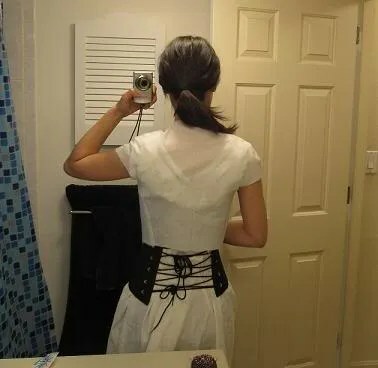 I’ve got a mock-up for my 1860s day dress that I’m happy with. This is from the Laughing Moon pattern, which Katie Jacobs recommended to me. I haven’t had a chance to get to work on the real thing because I’ve been so tired. I can’t bring myself to muster up the energy to cut out the fabric! Jenni has been trying to get us local costumers to go to the Commonwealth Vintage Dancers’ Returning Heroes Ball for years now. My other friend Taylor was talking about it, and their combined pressure caused me to cave. 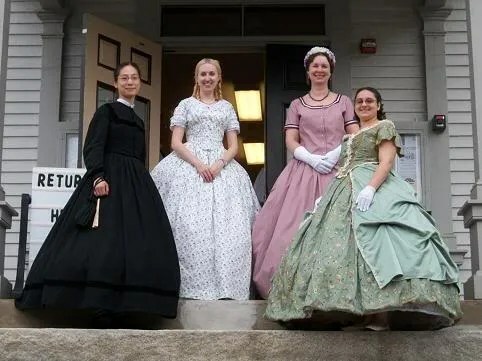 This is an 1860s event, and I have never had major interest in 1860s clothing, but I dutifully went to the library to get books for inspiration. We are allowed to wear evening or day dresses. 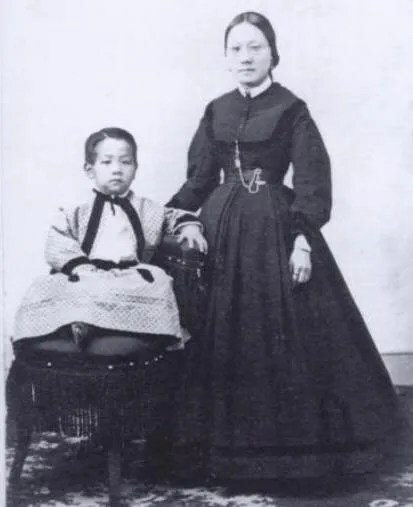 I’ve kinda been itching to do a black outfit, and I love that it’s a photo of a Chinese American woman. So after I finish up my first 18th c ensemble, I’m moving onto another new era!